When it comes to navigating your health, if that journey includes Hashimoto’s, a thyroid condition, hypothyroidism, subclinical hypothyroidism, or many other autoimmune conditions as well, such as celiac disease, information simply isn’t enough. You need to have a step-by-step plan. Even finding the information you need is like looking for a needle in a haystack. What is true? What is valid? How do you know? 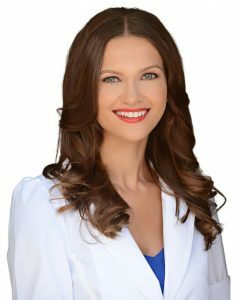 I am Dr. Izabella Wentz, and even having a degree in pharmacology did not save me from years of misdiagnosis by doctors and misinformation from experts. Finding a path out of Hashimoto’s and thyroid illness became my focus (and success story), and finding a way to share everything I discovered became my mission. I have written TWO New York Times best-selling patient guides, launched three companies (including a training for practitioners), and created a line of supplements to support and empower people with thyroid disease to take back their health, and still I knew something was missing. I began to systematize the steps and summarize all of the solutions that I knew could change lives into one place – I created a PROGRAM to take you from suffering – to celebrating. Because this life is a gift, and helping you to unwrap it, with renewed health, is my highest privilege. Do you face great discouragement or even depression at times, wondering if you’ll ever get better? Have doctors tried and failed to help you? Or have they told you it’s all in your head? Have your antibodies gone through the roof and you have no clue what to do next? Do you feel like your energy is at a zero, and you can’t even do the simple things in life, like get the mail, walk the dog, go to work, go to a party? Are your friends and family frustrated with you? Or constantly worried about you? It’s time to take control of your health journey and write a new chapter in your story. If you are looking for a guide, I’m here to help you. I have a ton of helpful blog posts on my website, my books Hashimoto’s Thyroiditis and Hashimoto’s Protocol have been excellent resources for thousands of people now. But if you are REALLY ready and need and want more guidance – like someone to take you through the entire journey – someone who has BEEN there? Then my new Hashimoto’s Program is here for you. Every single day it is helping people recover their health and lives! Before I outline the course, so that you know it covers what YOU need, I want to share some RESULTS that some of the participants have shared with me. The numbers blew my mind. You can have access to the course for an entire year, AND you can download the materials in there to use when YOU need them, at your pace. This course is about impacting lives and helping women (and men) who have gone through what I have. When I was at my lowest point, and really struggling with hopelessness – afraid I would never get better – my mom came to my house and said, “Izabella, don’t give up. Get better so you can help others get better too.” My mom is an amazing healer, and living up to her legacy and that idea she planted has become my mission in life. So are you ready to check out the course? Are you afraid you can’t afford it? Hear my heart, this is probably the most valuable, least expensive healing opportunity you’ve seen so far! Many people in my community have spent tens of thousands of dollars and not been given a simple step-by-step plan, like you will find here. You’ll start with the Root Cause Assessment, a comprehensive assessment based on my experience in working with people with Hashimoto’s, that will predict your risk of potential root causes, so that you can prioritize your interventions and tests. The first part of the course is focused on strengthening your body, where I walk you through the most important lab testing, (you can even order your own labs), as well as how to understand your lab tests. I’m here, and I want to help, because I know how devastating it is to be sick. It took my pharmacist’s brain, and a ton of self-experimentation to get myself well. And it took YEARS. I have recovered my health, and I know you can recover your health too. And it doesn’t have to take years. You can lean into my journey and use this course to create your best life and health. The most painful thing for me as a healer and empath is to watch people drowning and not being able to convince them that they can just stand up and heal themselves. What is the Hashimoto’s Program? If you’re looking for a deep, focused dive into addressing Hashimoto’s and the many symptoms you may be challenged with, I’m 1000% confident that this program can help you. I recently hired a professional interviewer to spend 40 hours interviewing 20 people who have taken the course to learn about their experience. What if you’ve been on this journey for a while – and tried “everything” out there? Look, many of my participants were already super knowledgeable. Some of them had been navigating Hashimoto’s for decades, many were working with functional medicine practitioners, and some of them were even practitioners themselves before they started the course! I came up with the idea for this course as a result of my years in public health. Multiple studies were done on a self-management program for people with diabetes, and every single one of them found that the patients who took the self-management program and worked with their practitioners had significantly better health outcomes than those who just worked with their practitioners! This is what I want to give you: empowerment, as well as a way to manage your own condition. Functional medicine practitioners who specialize in Hashimoto’s are few and far between (not to mention expensive). And many have long waiting lists, so it’s not always possible for someone to have 10-12 sessions with a functional medicine practitioner, which is generally what it takes to reverse a condition. This is where my program comes in! The entire course is less than the price of one session with a functional medicine practitioner, and each module is the equivalent of 2-3 sessions with a functional medicine practitioner. That’s how much learning is packed in here. Taking my course will help you figure out how to get yourself better, and how to best utilize your doctor (even if he/she is not trained in integrative or functional medicine). You’ll also have access to labs and assessments that are only available to functional medicine providers so that you can take charge of your own health! I teach you to be more resilient so that you can face life’s health challenges and take back your power. You’re already more powerful than you think, and your body can heal itself if given the right support. While I’ve studied the best medications during my pharmacist training (and I’ll teach you how to utilize those to your benefit), I have also found that there are many natural and safe treatments that can work even better than most medications. One woman told me that she saw more improvements in the three months of taking the course than she had in three years of working with her integrative doctor! This is not to say the doctor is to blame, but rather that empowered patients are more likely to have better outcomes! Helping you to discover that your body is a healing machine – that it can turn around – that your life can be wonderful – that has become my vision and my mission. I want to extend my gratitude to Dr. Wentz for her work. I couldn’t get one doctor’s visit for the cost of this program. The testing portal saved me about $1500. My functional doctor office visits are $350. Insurance is of no help: “out of network”, “not covered.” I am hoping he will prescribe medication after reviewing test results. It is wonderful that I will go into the next visit armed with good understanding of my test results and best likely solutions, thanks to Izabella. Her approach is genuine and rich with substance. The transcripts and other printable PP packets improve understanding and provide ease in review. As you know, repetition increases learning and this approach succeeds in effective delivery of learning chunks. I refer to the book when I need more. Can I do the program if I am vegan / vegetarian / pescatarian? The program incorporates a variety of modules including food assessments, diet, nutritional supplements and looking at root causes well beyond food. The program has one module on diet, where I go over the most helpful Hashimoto’s diets. I do ask participants to be open to changing their diets to find the most suitable diet for them – often times, it’s not what we’re currently eating! However, if you’re not willing or not able to change your diet, there are also 11 modules with recommendations beyond diet that you’re likely to benefit from. Some of the modules that are especially likely to help independent of diet include: addressing your adrenals, addressing dental triggers, gut infections, toxins and nutrient depletion. Can I do the program if I live in Europe? Yes! We’ve had participants from all over the world, including Europe, Asia, Africa, South America and Australia. I live in Europe, will I be able to get the tests/ supplements needed for the program? Yes, the majority of the tests and supplements are available to be shipped to Europe. Please consider your country’s importation taxes as well as the currency exchange rate. Do you provide meal planning and shopping lists? Yes—the course comes with 12 sets of Meal Plans which have recipes and shopping lists for the diets that I’ve found to be most helpful in Hashimoto’s, including 2 weeks of each of the following: Paleo, Autoimmune Paleo (AIP), Low FODMAP Paleo, Low FODMAP AIP, Anti-Candida Paleo, Anti-Candida AIP. Past participants find this section is helpful because it maps out what they need to eat. It takes the guesswork and headache out of meal planning, and most people really enjoy the meal ideas I suggest. Can I do the modules at a slower pace? Yes—you will have access to the program for an entire year from your purchase date, however, you can download the materials to your device to access them at any time. I have Hypothyroidism, can your course help me? Yes. The course is tailored to Hashimoto’s, hypothyroidism, subclinical hypothyroidism, and will be helpful for other autoimmune conditions as well, such as celiac disease, which may have not responded to a gluten-free diet. Do you provide details on supplement and medication dosage in the program? Yes! I have a module on medications that go over various thyroid medications, dosing, conversion from different medications and much more. I also have multiple assessments for nutrient depletions that will give you an idea as to which nutrients may be deficient as well as my recommended brands and dosing. If you are in the U.S., you also get a 10% discount on supplements through the course. The course is open for enrollment right now. You will get access to the first module as soon as you sign up, and then one new module will be sent to you each week. While I will offer the course again, the price will be higher. If you choose to enroll in the course now, you’ll have access to the course for one full year with the option to download the materials, so you can go through it when it’s convenient for you. My TSH is high, but all other levels are normal. Will the program help me? Yes. There are 5 stages to thyroid disease. A person with only thyroid antibodies and normal TSH is considered in Stage 2 of thyroid disease, a person who has an elevated TSH with normal T4/T3, with or without thyroid antibodies, is in Stage 3 of thyroid disease, a person with elevated TSH, lowered T3/T4 +/- thyroid antibodies is in Stage 4 of thyroid disease, regardless if she/he has thyroid antibodies or not. Stage 5 is when the person progresses to other types of autoimmune disease. The course is focused on reversing and slowing/stopping the progression of the condition in all stages and is appropriate for all levels of thyroid disease. Yes! The first module will go over all of the root cause testing that I recommend. I will go over the standard tests that your doctor should be able to order for you that will likely be covered by your insurance. I will also go over advanced functional medicine testing that may not be covered by insurance. Your Root Cause Assessment results will help you prioritize as to which of the functional medicine tests you’ll need to get. I have set up a lab testing portal where you can order all of the recommended tests for a big discount. I hope these questions are helpful for you. 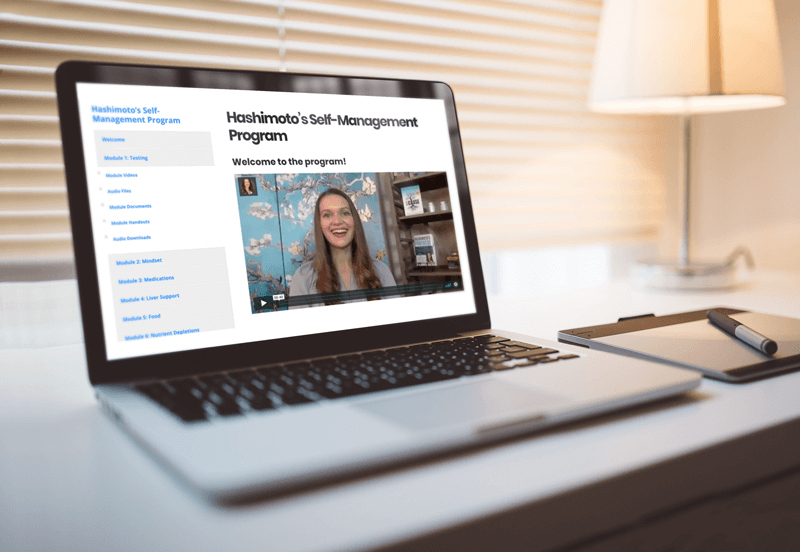 To enroll in the Hashimoto’s Program, click here. *Note: some labs may not be available in certain states. Please visit https://www.directlabs.com/thyroidrx/OrderTests for more details. Optimizing our health starts with food. Figuring out which foods nourish us, and which ones cause us harm is the single most important thing we can learn in our health journey. You’ll receive access to weekly meal plans and shopping lists, loaded with Paleo, Autoimmune Paleo, Low FODMAP, and Anti-Candida recipes to help you on your journey. The Hashimoto’s Program will be action focused, with an emphasis on implementation and strategies (the “how”). But, if you’re the kind of person that needs more information on theory, you’ll have access to 11 interviews from the Hashimoto’s Institute that will give you a better understanding of the “why’s” behind the recommended interventions. 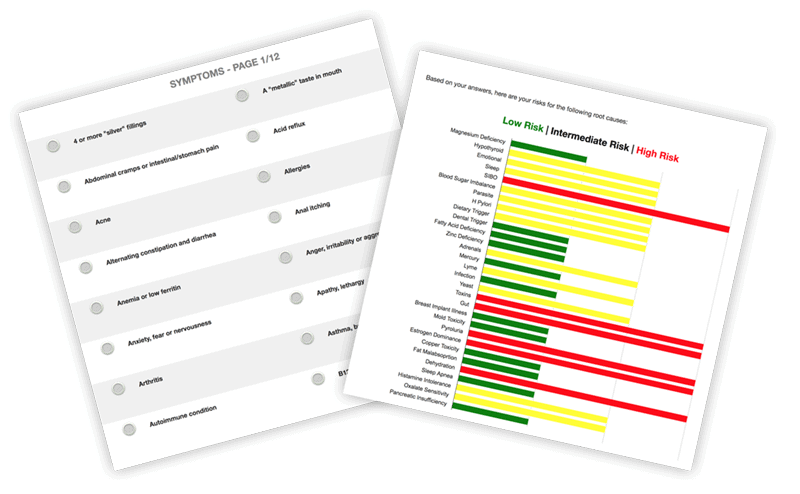 I’ve developed a comprehensive symptom questionnaire from my clinical experience with Hashimoto’s that is meant to predict your risk of potential root causes. These will be divided into 3 categories: Low Risk (green), Intermediate Risk (yellow), and High Risk (red). Lastly, if for whatever reason, you decide that the program is not a good fit for you, and you want a refund, all you have to do is email our customer service department at info@thyroidpharmacist.com. Simply let us know within 30 Days, and we’ll get back to you within 24–48 business hours. This will allow you to check out four complete modules. Each person’s path is unique to them, and I believe that what you are going through can be life-changing not only for you — but for those around you. I invite you to take this next step in your journey. You have nothing to lose and everything to gain. Yes, I’m ready to get my life back! Disclaimer: This is a digital product only. All content is delivered via online portal. These statements have not been evaluated by the Food & Drug Administration. This product is not intended to diagnose, treat, cure or prevent any disease. The information contained herein is for informational purposes. Please be sure to consult your physician before taking this or any other product. Consult your physician for any health problems or before starting a new program.